Over the years, there have been a lot of theories and accusations about O.J. Simpson's trial, in which he was found not guilty of the murders of Nicole Brown Simpson and Ronald Goldman. Many of them center on Johnnie Cochran's famous line from closing arguments about a bloody glove found at the crime scene: "If it doesn't fit, you must acquit" and the fact that the gloves didn't fit Simpson when he tried them on in court, as they appeared to be too small. One commentator in O.J. : Made in America offers an alleged explanation, as Simpson's former agent Mike Gilbert claims that he told Simpson to stop taking his arthritis medicine during the trial, which allegedly prevented Simpson from being able to bend his hands. "Mr. Simpson has arthritis and we looked at the medication that he takes and some of it is anti-inflammatory. And we are told that he has not taken the stuff for a day, and it caused swelling in the joints and inflammation in his hands." But former District Attorney Gil Garcetti told the Chicago Tribune that he didn't even know about Simpson's arthritis until he saw O.J. : Made in America. And the Los Angeles Times pointed out that while Cochran called prosecutors "paranoid" in response to these claims, he did not directly deny the accusation. Rheumatologist Dr. Ernest Brahn also told the newspaper, "The kind of joint deformities that we see in rheumatoid arthritis can impact on whether a glove might fit ... But many of the drugs that we administer take weeks or months to achieve their anti-inflammatory effect." There is also a report of another member of the defense team commenting on the allegation that Simpson did not take his medication. Lawrence Shiller, who wrote the book American Tragedy: The Uncensored Story of the O.J. Simpson Defense, claimed to ABC News that according to Robert Kardashian, Simpson had stopped taking his arthritis medication one month before the glove demonstration. Shiller did not have a direct quote or taped statement from Kardashian and also said to ABC News, "Nobody knows whether it made his hands a little bigger or not." Arthritis medication, or an alleged lack thereof, is still not the only potential reason the gloves did not fit Simpson. As Marcia Clark said to the Daily Mail, "I never expected anything good to come of it," since the gloves had been frozen and unfrozen multiple times, tested for evidence, and had to be worn on top of a second pair of latex gloves. 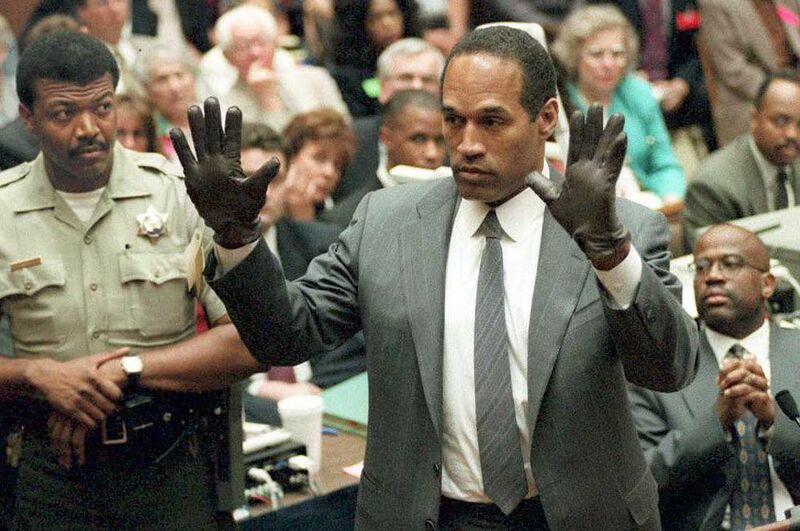 The fact that theories about why the gloves didn't fit Simpson are still being discussed 20 years after he was found not guilty shows just how fascinated the American public is with his trial.